We are currently celebrating the holy month of Shravan, when many people fast for Lord Shiva. However, you cannot carry on feeling energized through the day without adequate nutrition. So, here is a healthy fast-time recipe that is nutritious and tasty. • Blend chilies, buttermilk, and mint together and set aside. • Add sabudana to the buttermilk mixture and let it rest for an hour. 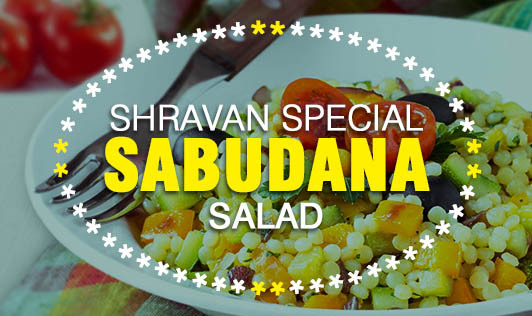 • After an hour, steam the sabudana lightly for 5 to 10 minutes and transfer to a bowl. • Allow the sabdudana to cool. • Add fruits and raisins and mix well. • Do not soak the sabudana for too long. A long soaking time will get them too soggy. • You can add some nuts like almonds and walnuts to increase the protein content.